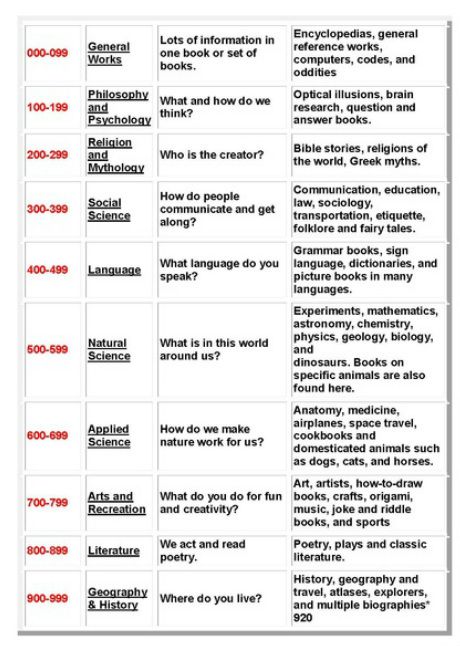 Melvil Dewey was the Librarian who invented a decimal classification system, based on ten basic divisions, for library book called "Dewey Decimal System". This system was first published in 1876. One of the great things about the Dewey Decimal System is that you can go into virtually any library in the world and still find items based on what area they come under. Check out this dewey site to learn more and test your knowledge with some fun games. The website 'DeweyDigger.com' is a really helpful site if you would like to explore more about the Dewey classification system.